Syria's largest city Aleppo has been bitterly contested between rebels and government forces since 2012. Years of fighting caused massive destruction, until a partial ceasefire took effect at the end of last month. 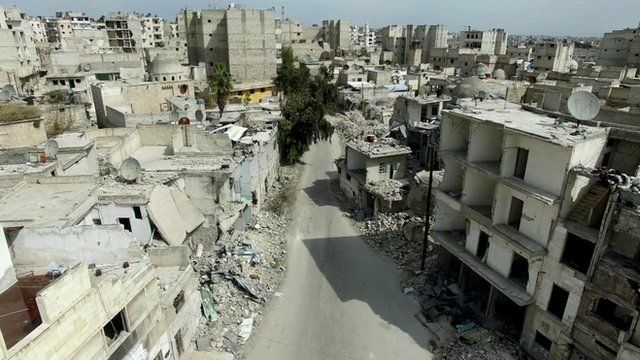 Drone footage reveals how much of the rebel-held eastern part of Aleppo - once Syria's commercial centre - now lies in ruins.